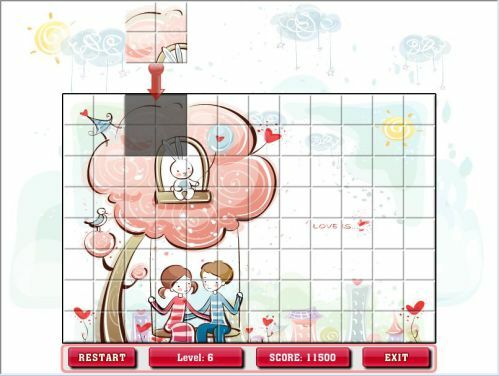 Description This is a tetris type valentine's day themed game where you need to make a carbon picture. Each time some piece of the picture will be available to fall down. Controls Click on the right column to make the picture piece set on its exact place.